Bolingbrook, IL – Mistwood Golf Dome (formerly McQ’s Golf Dome ), the top indoor golf facility in the Chicago area, will be the first dome to host Toptracer Range Technology as seen at select Topgolf facilities and on television during professional tournaments. Beginning November 1st, golfers of all skill levels will be able to use the same high-end camera-tracking technology featured in PGA broadcasts to improve their golf skills or simply challenge friends to interactive games while eating and drinking from Mistwood’s newly remodeled hitting bays. Cameras placed throughout the dome will track every ball hit by every player, displaying where the ball tracks to on interactive screens in each hitting lounge. 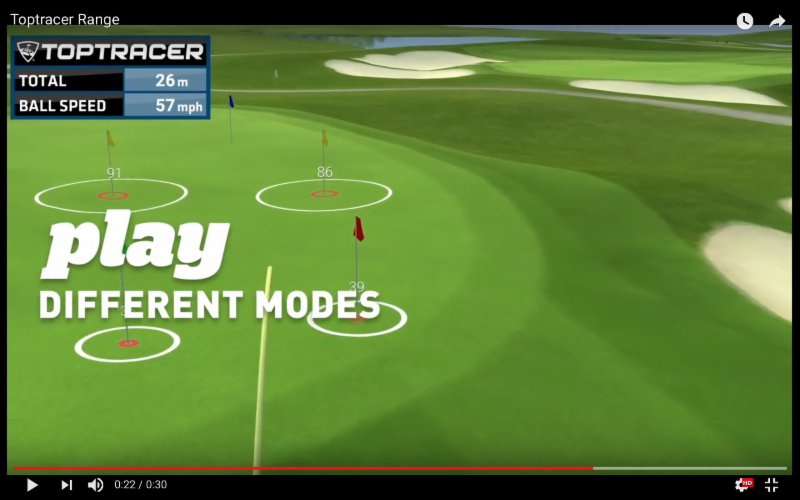 Close-range targets on the course will capture some balls and synchronized targets will display the would-be trajectory of longer shots. Interactive games include competition for long drives, closest to the pin shots, targets for points and virtual play on famous full length courses. The installation of the Toptracer technology is part of a comprehensive remodeling of Mistwood’s 60,000sf facility which will now feature lounge seating with couches, chairs and tables in (30) hitting bays, wait staff service, private TVs, and more. In conjunction with the extensive remodeling, the facility is adopting a new name to showcase its relationship to its award-winning sister-property Mistwood Golf Club in Romeoville. Similarly, McQ’s Bar & Grill, located at the dome, will now be called McWethy’s Sports Bar. McWethy’s Tavern is located at Mistwood Golf Club. “Golf domes and even outdoor ranges are typically staid environments with serious golfers working on their swings, but after 6pm those players are gone. That’s when the party will start for the new fans who want music and drinks and games. This is going to be a great spot to break your cabin fever this winter,” says Bradley. Formerly McQ’s Golf Dome, which is under the same ownership group as nearby Mistwood Golf Club, Mistwood Golf Dome has become the leading indoor golf dome experience in the Chicagoland area. The 60,000 square-foot heated facility offers golfers a great way to keep the game in shape during the winter months. 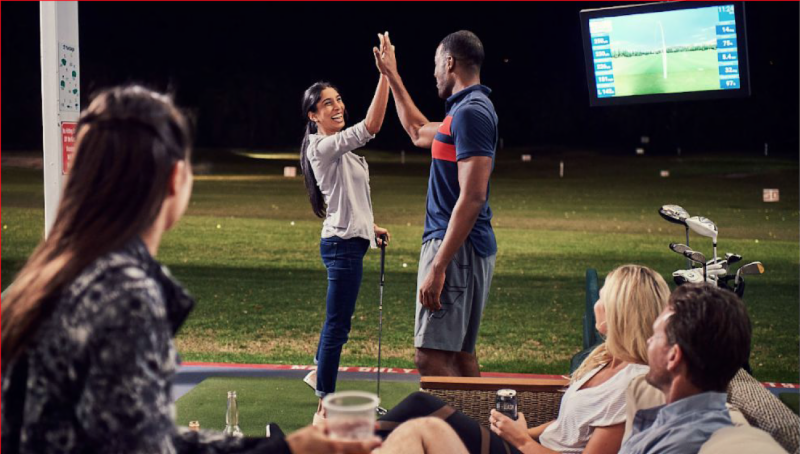 Whether it’s practicing your full swing at its 30 hitting stations or keeping the short game tuned up on the two 900 square-foot putting greens complete with an indoor short game area, McQ’s offers something for everyone. The facility is also home to the popular McWethy’s Sports Bar (formerly McQ’s Bar & Grill ), a fun sports bar featuring a variety of fine fare including award-winning wings and over 30 craft beers. Mistwood Golf Club, which opened in 1998, is one of the most-talked-about Chicago area golf destinations. It features 18-holes designed by award-winning architect Raymond Hearn, a top golf performance center and a spectacular clubhouse facility. Following an acclaimed multi-million-dollar course renovation by Hearn, which was recognized as the top renovation of the year byGOLF Magazine in 2014, Mistwood has become one of the most popular venues in Chicago.